By Lori Leigh on April 29, 2016 Visit Lori's Website. Last week I shared with you a recipe that uses a lot of eggs at one time…something needed when all of our ladies started laying. Today I want to share another recipe that showcases the incredible egg. As with most of my recipes, I like to keep it simple. But this recipe…it has a kick to it. 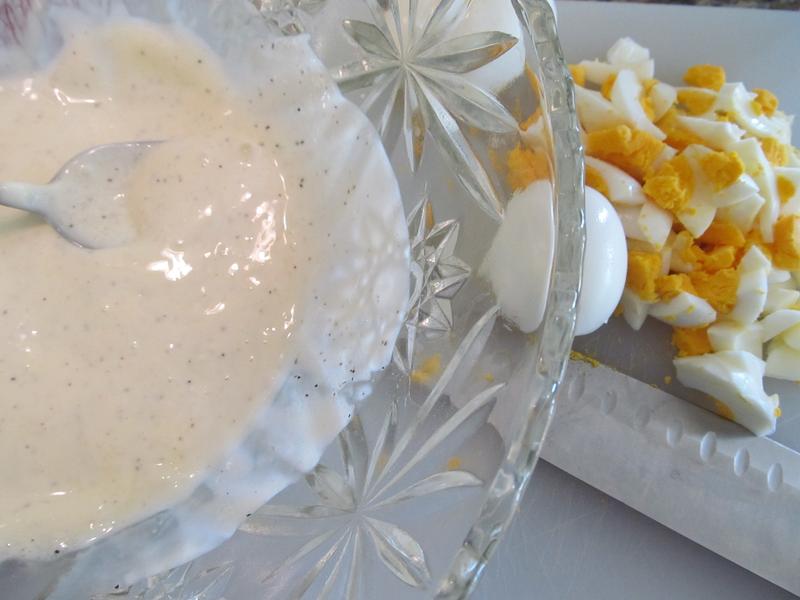 The ingredient that I use in my egg salad is also the ingredient that I use when making deviled eggs. It is full of health benefits, such as helping to improve blood sugar levels and can help to keep your heart healthy. It’s not fancy, nor is it expensive. Have you guessed it? It’s vinegar! I have used both white vinegar and apple cider vinegar when making this. Many times I’m sure that I add more than what the amount I have listed because I don’t measure. Hubby wasn’t used to the vinegar years ago, so I took it easy on him. Now he knows to expect it, so I just pour it in. And yes, he likes it. I like to stir together the mayonnaise, vinegar, salt, and pepper. Then I gently fold in the diced eggs and celery. This helps to keep the chunk of the diced eggs in tact. I don’t like a mushy egg salad. The green of the celery adds great color and crunch. Garnished with some fresh parsley compliments the egg salad without taking away from the classic flavor. It can be enjoyed so many ways…by the bowl full, on a croissant, on toast, or an open face or closed sandwich. Here is the recipe. If you try it, let me know what you think. Stir together the mayonnaise and vinegar. 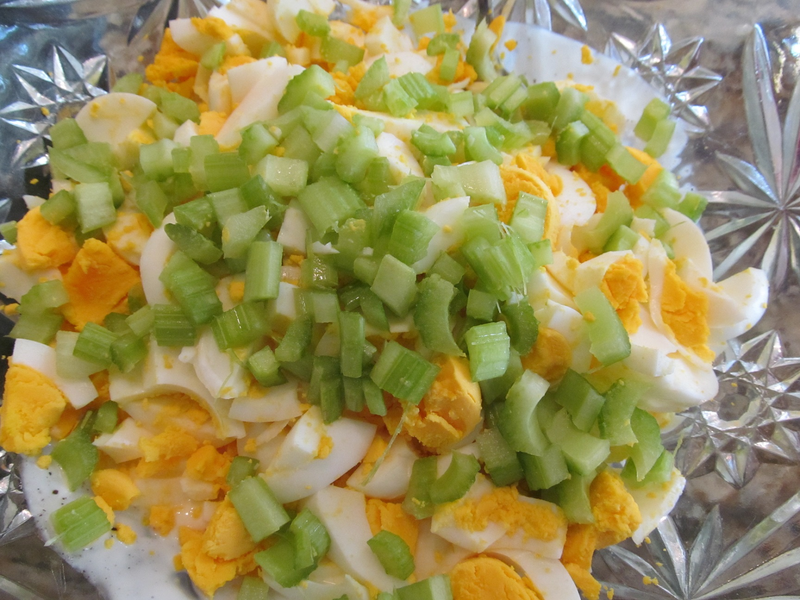 Fold in the diced eggs and celery.